Upto 40% Off on Beauty Products. Shop from Makeup, Skin care, Hair care, Bath & Body, Fragrance and more. No Nykaa Discount Coupon Is Needed To Redeem This Offer. Shop From Best Selling Brands Including Loreal, Lakme, Maybelline, Toni & Guy, Vella, Schwarzkopf, The Body Shop, Revlon And Many More. Offer Is Valid For Limited Time. Shop Now ! What is Nykaa Valentine Day Sale Offers? What is Nykaa Valentine Day Sale e-wallet Offer? What is the best way to express love? Give a present! When you send something meaningful to your loved ones, it shows how much you care for that person. The fever of Valentine’s Day is running and so the exclusive Nykaa valentine day offers and discounts. If you haven’t bought anything yet for your girl or guy, buy something unique at the Nykaa Valentine Sale. Nykaa is a known world of cosmetic where you would find cosmetics and beauty & grooming products from popular brands. Along with the best range of products, Nykaa gives you access to multiple Nykaa Valentine Day discounts. Nykaa Valentine Day Sale is also known as Nykaa Big Love Beauty Sale. To celebrate the day of love, the biggest online beauty and wellness destination is giving exclusive Nykaa Valentine’s Day discounts on products. 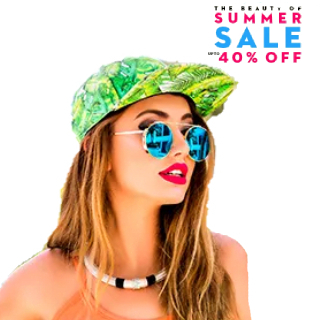 Users can avail 40% off on more than 500 brands like Lakme, Nykaa Cosmetics, Maybelline New York, Neutrogena, L’Oreal Paris, Biotique, The Face Shop and more. The validity of the Nykaa Valentine Sale is till February 17th, 2018. Flat 25% off on Maybelline New York. Up to 30% off on Lakme products. Nykaa is giving up to 30% off on exclusive Nykaa Cosmetics. Biotique Advanced Ayurveda products are available at up to 30% off. L’Oreal Paris products can be availed at up to 30% off. Special up to 35% off Nykaa Valentine Day offer is running on kits and combos.
? ?Offer : Buy any Reds on Fire Lipstick and get a free pouch + shop @Maybelline at Flat 25% off only TODAY! A word that lights up my eyes? *SALE* ??????????? Shop all your @Maybelline faves at Flat 25% off only TODAY! ????? Waste no more time, go get shopping. ???? I'm so "matcha" into you. ???? Flat 15% off on lip products. Up to 35% off on Braun Epilators, Hair Dryers and Shavers. Complimentary samples of Kiehl’s is given to every customer on every order. Free makeup revolution lip kit from RevolutionPro worth Rs. 1,499 or above is available to the customers. Up to 20% off discount is running on BBlunt Hair Serum, Hair Color, and Conditioners. A flat 20% discount is available on Avene sunscreen, clearance gel, make-up remover, and spring water. Indulgeo essentials like Facial Toner, Face Oil, and Serum, are available at a flat 10% off. Up to 30% off is available on Men’s grooming products like shavers, trimmers, deodorants, and beard shampoo. On using SuperCash for your shopping, you can avail up to Rs. 750 off at the Nykaa platform. In order to avail the offer, no Nykaa coupon code is required. All you have to do is pay through Mobikwik wallet for your Nykaa shopping. The maximum SuperCash that a user can use on a single transaction is Rs. 750. There is no minimum transaction amount limitation to redeem the SuperCash. However, to avail the offer, users have to shop at the Nykaa website as the offer stands void on the app.